I spent last Thursday at my parent's house. During the summer it seems that you can typically find my parents outside. If they aren't mowing the lawn then they are working in the garden or picking raspberries. My parents have a great work ethic. I really appreciate the wonderful example that they gave me of hard work and taking pride in what you do. So while I was at their house last week I decided that I would help out by picking some raspberries. Picking berries is one of those tasks that ends in a very sweet reward. I ended up with a large tub of raspberries and nine jars of raspberry jam. 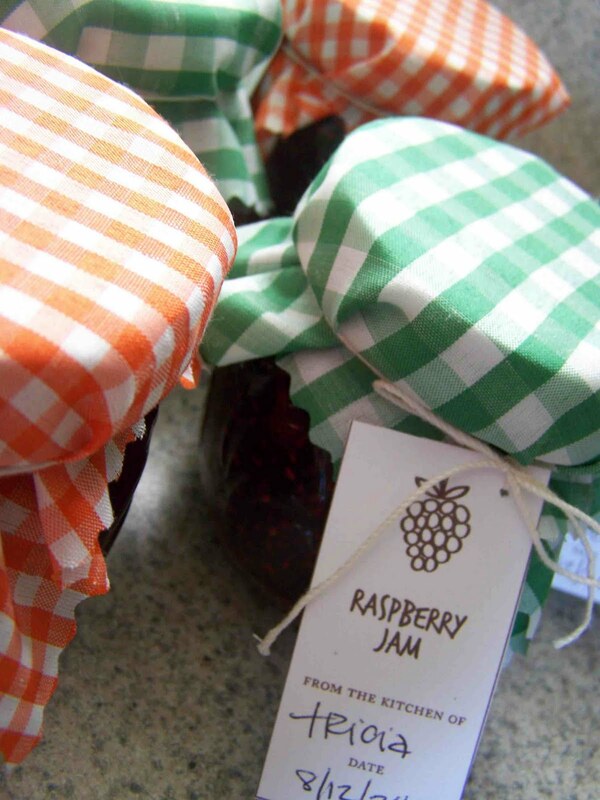 Is there anything more delicious than raspberry jam? Once I got home I decided that my jelly jars needed some dressing up. I purchased this silly gingham fabric at Wal-mart in their clearance section. I didn't have a clear vision of what it'd be used for (otherwise I may have selected some different colors), but I love how it tops off my jars. I think that the smaller gingham print works better on the jelly jars, but the larger print works as well. I used five inch squares of fabric with the orange gingham and six inch squares on the green. I think that I probably should have settled on five and a half inch squares, they'd have been perfect. I tied the fabric with some cotton string and added some lovely little hang tags. While I could have taken the time to design my own hangtags, I chose to let someone else do all of the work. I found these nice little hangtags by Domestifluff. 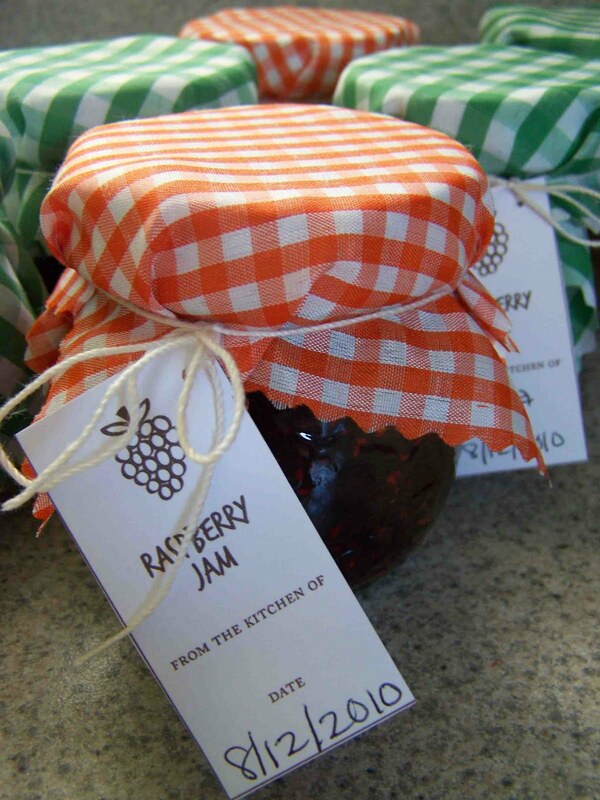 There are also printable labels for the top of the jars if you don't feel like covering your jars in fabric. You can find the printable versions here. If you are looking for something a bit different you can check out these printable versions. Apricot butter, Strawberry Jam, and Cherry Chutney labels by Jessica Jones at How About Orange. These Jelly Jar toppers are so pretty that I might just start canning so that I can decorate my jars. My mom makes the best raspberry jam. I am amazed that I didn't totally mess it up. Her secret, well it really isn't so secret, she uses the sure-gel recipe from inside the box. 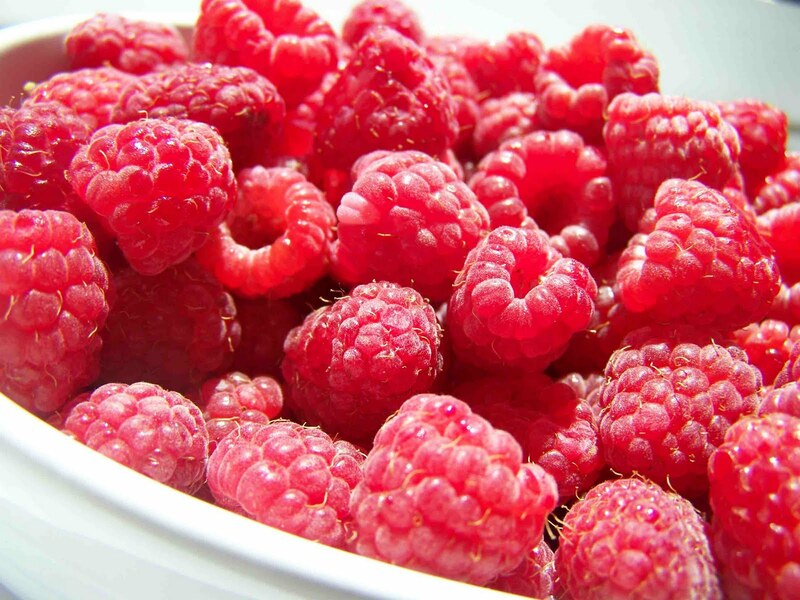 Then again, maybe the secret is in the berries. Check out my link at the top of the page to see where I'm link partying today. These are adorable, they would make the best gifts and I love the gingham! So glad to know your blog! Thanks again for linking up, hope to see you again next week! Tricia!!! How are you guys? I had no idea that you were this interested in sewing, too. I would have showed you some of the stuff I have made when we were in classes together. Come check out my blog, since I missed the opportunity to show you in the good ol' burg. What a great job! Love the fabric, love the labels. Yum! I am so jealous. The jam looks great! Love anyone who takes the time/care to make jam..I make 300 jars a yr...Great job girlfriend!! Hi..I’m Barb….I am from Blue Cricket Link Party. I am your newest follower. I hope you will get a chance to visit my blog @ santasgiftshoppe.blogspot.com & get inspired by something for your family/home. I hope you will follow me as well. I also would love for you to be a new Fan of my Facebook page too & click “LIKE” in the upper right hand corner of my blog & you’ve done it..Thanks so much! I am just starting at Facebook. Nice to meet ya new friend!!! Great post! I'm hosting Canning Week on my blog next week and I'd love to have you join us! I love the gingham check...it's so sweet and chic!! Thank you so much for linking this up to my party at Frou Frou Decor!! If you have any extra jam - send it my way! 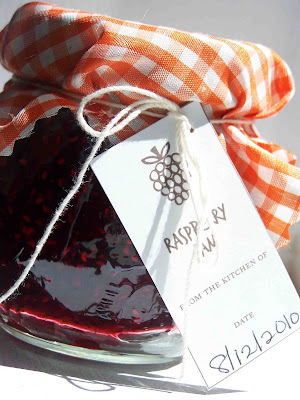 Homemade raspberry jam is better than the best. Such a sweet gift with the simple gingham and the tag.